Does it come with reinforcement channels? Vinyl on its own is a great material, but after years in the elements it can contract and expand, and ultimately sag. 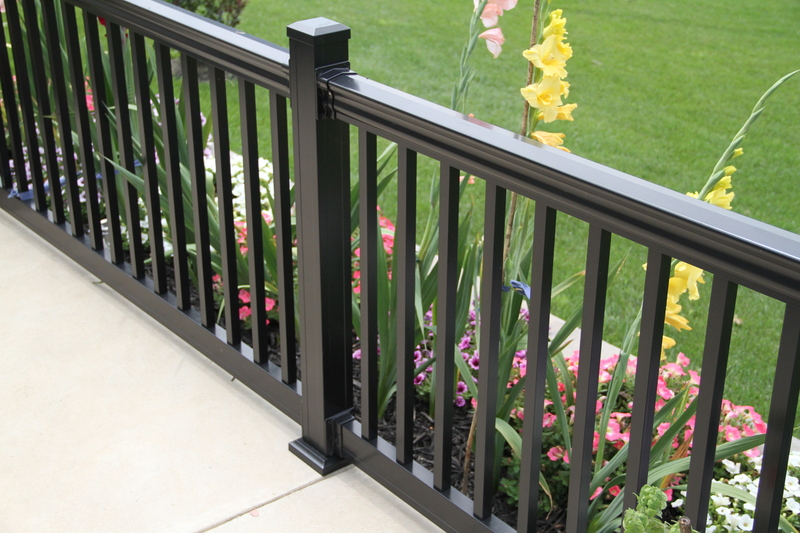 Vinyl railing should always have a reinforcing metal channel running through it in order to keep it strong and sturdy. How quickly does this railing install? Can it be done quickly using standard tools? If the answer is no, there are better options out there. Save yourself from frustration on the job and choose the product that installs easily and saves time. If your railing doesn’t come with a limited lifetime warranty, you should be asking “why not?” The company that supplies your railing should stand behind their product and provide you with true customer service. Fortunately, when you take a look at our railing, the answer to all of these questions is a resounding YES! We install the aluminum reinforcement channels for you, so all you have to do is screw the railings into place. You can use standard tools (drill, mallet, saw), and all of our railing is backed by a warranty that’s one of the best in the business. Plus, as a bonus, everything is made and manufactured right here in the United States. Give us a call at (800) 633-7093 or fill out our contact form if you want to know more.